4. How Much Must the Convert Learn Before Conversion? 8. Defining the Acceptance of the Commandments. The laws relating to Jewish converts are amongst the most astounding laws in the Torah. Despite all of the criticism directed at the Jewish people on the grounds that Judaism is racist, the Torah teaches us that any non-Jew who truly and earnestly seeks to join the Jewish people may do so. The wretched Germans ruled out the possibility of allowing non-Germans to join their shallow race. Even Jews who had assimilated and converted to Christianity were viewed as Jewish in the eyes of the racist Nazis. This, however, is not the way pf Judaism. Rather, any non-Jew who wishes to join us may do so according to Jewish law. It is true that we are "racists," but we are racists in the positive sense of the word. We feel an obligation to rectify creation, as R' Menashe of Iliya would say, "So long as even a single worm in the crevice of a stone is discomforted, the redemption has not arrived." As Jews, our most natural desire is that all people be blessed with happiness, and we are forever working to better the world. The horrid Nazi racists, on the other hand, who considered themselves "the chosen people," understood chosenness in an impure and negative sense. They believed that they deserve the best of everything and that everybody must serve them and work for them. We Jews, however, are inherently compassionate. We even show compassion to our adversaries. Therefore, if a German or an Arab should seek to join the Jewish people, even if he is the son of a fierce antisemite, we shall accept him and love him like any other Jew. Moreover, we shall love him even more than other Jews, in keeping with the commandment to "love the convert, for you too were strangers in the land of Egypt (Deuteronomy 10:19)." After a person converts to Judaism he is like any other Jew. In fact, one must be more sensitive to his feelings than those of other Jews. This is because of the extreme difficulties that a convert faces. After all, it is not easy to leave one's people and one's home in order to join a wise nation with an ancient culture and rich tradition which is not so easily absorbed even after many years of study. This extreme transition calls for great inner strength, and even the slightest insult can undermine a convert's confidence and cause him great despair. This explains why the Torah takes such a firm stand on this issue, ruling that whoever grieves the convert transgresses three prohibitions (Baba Metzia 59b). Firstly, it is written "Do not grieve one another" (Leviticus 25:17), and this applies to all Jews, including the convert. In addition, the Torah adds two more prohibitions against grieving the convert: "You shall not wrong a stranger, nor oppress him; for you were strangers in the land of Egypt" (Exodus 22:20) and, "If a stranger sojourns with you in your land, you shall not wrong him. But the stranger who dwells with you shall be to you as one born among you, and you shall love him as yourself; for you were strangers in the land of Egypt; I am the Lord your God." (Leviticus 19:33-34). In a positive sense as well, we are twice commanded to love the convert (Rambam, Hilchot Deot 6:4). Firstly, we must love the convert like any other Jew, as it is written, "Love your fellow as yourself " (Leviticus 19:18). And again, regarding the convert in particular, it is written, "Love the stranger, for you were strangers in the land of Egypt" (Deuteronomy 10:19). And what could be more fitting and correct than to show the convert added affection, for of his own volition did he leave his people and his homeland in order to join the nation of Israel. The Almighty Himself loves the convert, as it is written, "He loves the convert to give him food and clothing" (Deuteronomy 10:18). May we all merit to love and embrace the convert, to accept him warmly and by so doing to unveil the incredible uniqueness of the Jewish people. Jewish law's attitude to conversion appears, at first glance, to be one of double standards. On the one hand, there is enormous respect and love for the convert who has left his people and his country in order to join the Jewish people; on the other hand, there is an attempt to dissuade him from converting. But the truth of the matter is that Jewish law's attitude to the convert is completely positive. The only reason that Judaism seeks to dissuade the convert is in order to see if he sincerely wishes to join the Jewish people, or if this is just a passing desire which will disappear in a few years. And therefore the Code of Jewish Law (Shuchan Aruch) rules (Yoreh Deah 268:2) that when a non-Jew comes before a rabbi and requests to convert, the rabbi must say to him: "Why do you want to convert? Don't you realize how much the Jewish people suffer in this world? Are you not aware that anti-Semites persecute us and try to destroy us? Why, it was only a few decades ago that the terrible Holocaust took place, and before that there were countless pogroms. Even today there is much anti-Semitism in the world, and many Muslims wish to do away with us. And all of this is because we are Jewish. So why do you want to join our suffering nation? If you desire to attain a higher level of righteousness and morality, you should be aware that a non-Jew too can be righteous and can even reach a level of divine inspiration." If at this point the non-Jew changes his mind about converting there is no need to continue with the conversion process. However, if he says, "Despite this I desire to join you; my only concern is that I may not be worthy," he is immediately accepted, and the second stage of the conversion process begins. He is taught the fundamentals of Jewish faith, the prohibition against idolatry, and a number of other laws. Then he is told, "You should know that so long as you are not Jewish it is permissible for you to labor on the Sabbath and to eat pork or other non-kosher animals. When you convert, however, all of these things become forbidden, and if you violate the Torah you will be punished." If he agrees and accepts this upon himself, he is converted. How Much Must the Convert Learn Before Conversion? One important question is, how many laws must the convert be taught before he is asked if he is ready to accept upon himself the commandments of the Torah? Another question is, should he be told in detail the Torah punishments applying to one who violates the commandments? "He is taught some of the minor commandments and some of the major commandments, and he is taught some of the punishments for violating the commandments," but, "we do not overburden him and we are not overly strict with him." "Even with regard to these few punishments, he should not be informed of all the fine details of the punishments, rather, he should be informed in a general manner: 'Before you reached this level, if you ate "chelev" (animal fats prohibited by Torah law) you would not be deserving of "karet" (excision, premature death), and if you desecrated the Sabbath you would not be deserving of "skilah" (stoning to death); now, when you eat chelev, etc.,' He need not be taught all of the fine details and stringencies involved in the prohibition of chelev and Sabbath." The reason for this is that even if he is sincere, if he is suddenly confronted with all of the stringencies and fine details, he will recoil and change his mind about converting. The essence of converting to Judaism is to accept upon oneself the yoke of the Torah and the commandments before a rabbinic court. However, as we have learned, it is not necessary to teach a convert before conversion all of the details of the Torah and its commandments. Rather, he is taught the fundamentals, and if he demonstrates a willingness to accept the Yoke of the Torah, he is converted immediately, and thereafter continues to study and to grow as a Jew. Once, a non-Jew came before Shammai the Elder and said to him, "I wish to convert, but I will only do so on the condition that you teach me the entire Torah on one foot." Shammai pushed him away, reasoning that it is impossible to teach a person the entire Torah on one foot. But the same individual came before Hillel the Elder, and Hillel agreed to convert him, saying, "That which is undesirable to you, do not do to your fellow. This is the entire Torah, the rest is all commentary." In other words, the idea that a person should not do to others that which he himself finds undesirable is the central idea of the Torah, and everything else is an expansion upon this idea, and in order to understand this you must continue studying. On another occasion a non-Jew came before Shammai the Elder and asked, "How many Torahs do you have?" "Two," answered Shammai, "One that is written, and another which is oral." The non-Jew said, "I can accept the written one, but I cannot accept the oral one. Convert me on the condition that you teach me only the written Torah." Shammai scolded him and sent him away. He went to Hillel, and Hillel converted him. Hillel started teaching him and finally convinced him to believe in the Oral Torah. On one more occasion, there was a non-Jew who heard about the clothing of the High Priest, and he became filled with the desire to become Jewish. He came before Shammai the Elder and said, "I would like you to convert me on the condition that I be able to wear the clothes of the High Priest." Shammai the Elder immediately pushed him away, for it is well known that a convert cannot become a High Priest, and hence is not allowed to wear the clothing of High Priest. The same person came approached Hillel and said to him, "I would like you to convert me on the condition that I be able to wear the clothes of the High Priest," and Hillel accepted him and converted him. Yet the law says that if a non-Jew is not ready to accept upon himself all of the commandments, it is forbidden to convert him. How, then, did Hillel convert this non-Jew who only agreed to fulfill the written Torah? And How did Hillel accept the person who wished to convert on the condition that he be allowed to wear the clothes of the High Priest? After all, is it not forbidden for any non-Kohen, including a convert, to wear the clothes of the High Priest? Hillel, in his great wisdom, understood that these non-Jews had pure and good intentions, and only lacked the ability to express themselves in a fitting manner. He was certain that when it came down to it, they would continue to learn Torah and fulfill all of the commandments (see Tosafot, Yevamot 109b, s.v. "Rah"). From here we learn that it is unnecessary to learn all of the Torah's laws before converting; it is sufficient that the rabbinic court reach the conclusion that the convert earnestly intends to join the Jewish people and accept upon himself the Yoke of the Torah (see Beit Yosef 268, end). The sages teach (Shabbat 31a) that years later these three converts happen to be together in one place, and they said, "In his strictness, Shammai sought to drive us out of the world; in his humility, Hillel brought us under the wings of the Divine Presence." On the other hand, if the rabbinic court accepts somebody who does not intend to keep the commandments, they will cause great damage to the Jewish people, and in this regard the sages say (Yevamot 109b): "Evil will come upon those who accept [insincere] converts," and "[Insincere] converts are as burdensome to Israel as a sore" (ibid., Tosafot). Two matters must be clarified by the rabbinic court before it can accept a convert: 1) Does the convert earnestly intend to join the Jewish people, or does he harbor ulterior motives? 2) Is the convert indeed ready to accept upon himself the Yoke of the Torah and its commandments? When it is clear to the rabbinic court that the answer to these two questions is affirmative, the main part of the conversion process is complete, and the rabbinic court proceeds to carry out the practical aspects of the conversion. Just as the Jewish people entered a covenant with the Almighty via three acts - circumcision, ritual immersion, and sacrifice - so must the non-Jew who seeks to join us enter the covenant of the Jewish people via circumcision, ritual immersion, and sacrifice. Because today the Holy Temple does not exist, and it is therefore impossible to offer sacrifices, Jewish law rules that it is possible to convert without offering a sacrifice. However, regarding circumcision and ritual immersion there is no change, and one who has not carried out these two acts is not a convert. The Sridei Esh was asked what the law is in a case where, because of medical reasons, the prospective convert is unable to be circumcised. Is it possible to accept him as a convert or not? He answers that because the non-Jew cannot be circumcised it is impossible to accept him as a convert. And he adds that Rabbi Kook concurred with him on this ruling. This, of course, applies to men. Yet regarding a woman, when the rabbinic court becomes convinced that she wishes to accept upon herself the Torah and the commandments, she need only immerse in a mikveh (ritual bath). 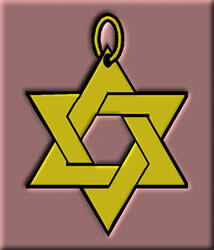 No other people in the world possess an institution resembling Jewish conversion. Some countries give right of citizenship to foreign immigrants, and this parallels the concept of a "ger toshav" in Jewish law. A ger toshav is a non-Jew who is permitted to live in the land of Israel on the condition that he keep the Seven Noachide Laws. He must also recognize our exclusive right the Land of Israel together with all of the authority derived from this right. An institution like Jewish conversion, however, does not exist in any people or nation. An Italian who immigrates to America remains Italian. This, however, is not the case regarding Jewish conversion. A convert to Judaism becomes Jewish in all respects - not only as far as citizen rights are concerned but also as far as absolute national belonging. Therefore, the foremost condition of conversion is that the convert accept upon himself the Torah. It is possible to say that the Torah of Israel is essentially an expression of the national character of the Jewish people. The spirit of the Torah and the spirit of the nation are one. Therefore, it is unthinkable that a person convert without embracing the Torah. Just as the Jewish people became a nation by accepting the Torah at Mount Sinai, so must one who wishes to join the Jewish people accept upon himself the Torah as an individual before a rabbinic court. Therefore, from a legal point of view, the rabbinic court's main consideration is whether or not the prospective convert is indeed ready to accept the Torah and its commandments. And so long as the rabbinic court is uncertain about the veracity of the convert's intentions, it is unable to convert him. However, if after the rabbinic court becomes convinced that the convert's intentions are pure and goes ahead and converts him, then the convert begins to neglect the Torah, he nonetheless continues to be considered Jewish. Just as a Jew who does not yet observe all of the commandments of the Torah is nonetheless considered Jewish, so a convert who subsequently neglects the Torah remains Jewish. Defining the Acceptance of the Commandments. We have learned that it is impossible to accept a convert so long as he is unwilling to accept the Yoke of the Torah and its commandments. However, there is no need to teach him all of the complexities of the law, because even a convert whose intentions are pure is liable to recoil and reverse his intentions if he hears at once all of the details of the Torah and its commandments. Rather, we teach him the essentials, beginning with commandments relating Jewish faith, and, conversely, the prohibition against of idolatry. Thereafter, we move on commandments which tell us how to behave toward others, and then we teach him the fundamental laws relating to the Sabbath, family purity, and kosher diet. What if the convert is prepared in principle to accept upon himself the Yoke of the Torah and its commandments, but he believes that from time to time he will have to transgress some of the commandments? Strictly speaking, it is clear that there is no dispensation for desecrating the Sabbath, even occasionally; neither is it permissible even in difficult conditions to eat forbidden foods. Nonetheless, the imminent Rabbi Chaim Ozer Grodinski, (known as the "Achiezer") holds that it is possible to convert such a person. This is because we relate to the acceptance of commandments in principle. In principle, the convert has agreed to take upon himself observance of the commandments, and it is only on occasion that he believes he will transgress. Although there are important authorities who disagree with this opinion, in practice, many follow the ruling of Rabbi Grodinski, and if it is clear to the rabbinic court that the convert accepts the commandments in principle, it is possible to convert him.